US First Lady Melania Trump is a woman on a mission. The former model has discovered that she cant make political statements like her husband Donald Trump but she can make fashion statements every where she goes and this is something that she has chosen to capitalise on. 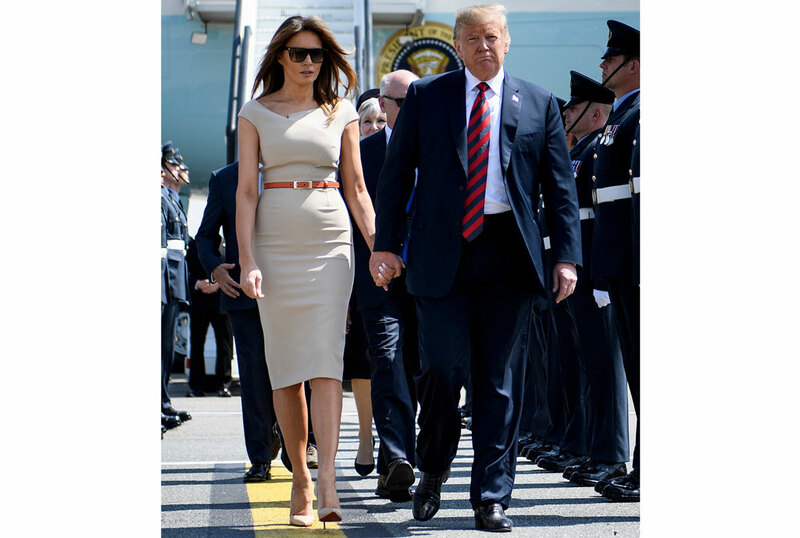 Melania Trump was a sight to behold as she walked on the tarmac after disembarking Air Force One at Stansted Airport, north of London on July 12, 2018. This was during Trump’s first visit to the UK as US president. 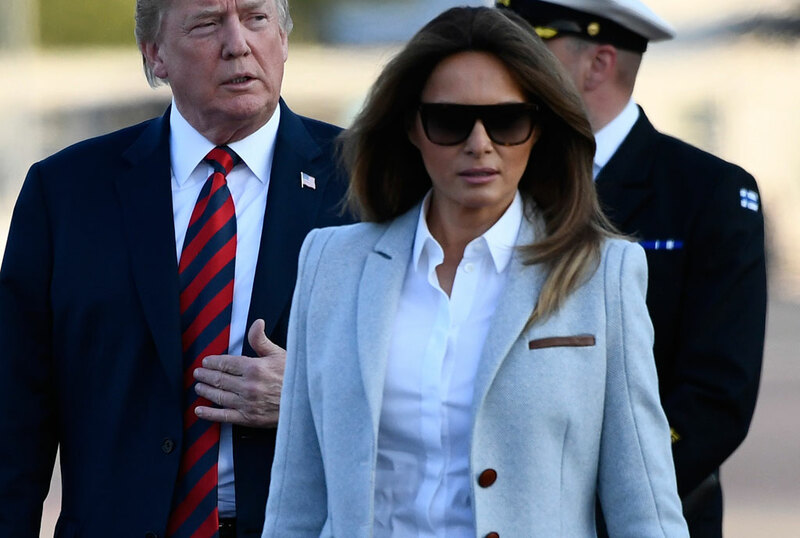 Nothing says ‘I am in charge’ like a great white shirt, shades and a jacket. It is even hard to notice Melania’s famous husband behind her. Melania Trump walks to her car after arriving with her husband, US President Donald Trump at Prestwick Airport, south of Glasgow on July 13, 2018 while on a visit to the UK. The US First Lady stunned in this yellow gown that she wore for a black-tie dinner with business leaders at Blenheim Palace, west of London, on July 12, 2018. Melania Trump rocked this golden dress by immigrant designer Reem Accra. We totally understand why Trump was in the background this time.